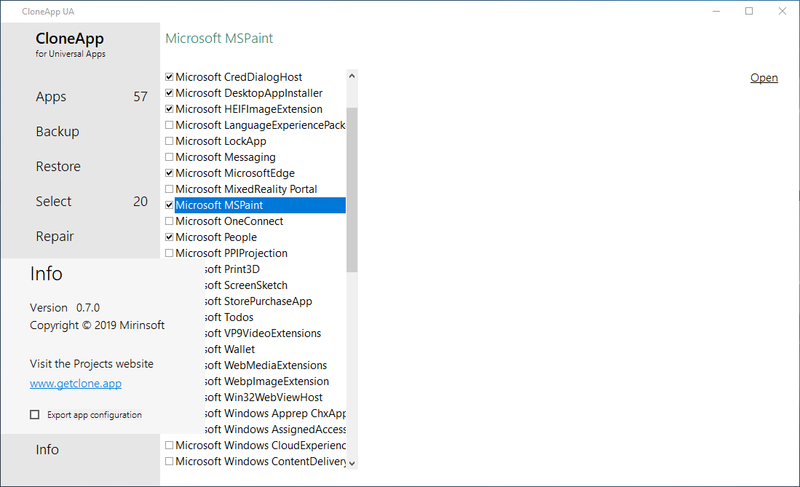 You might already now that all application data from Windows Store apps is saved to Local\Packages inside user's AppData folder (usually C:\Users\Username\AppData). Each application has its own subfolder there; its name is concatenated from the application package name and a signing certificate based postfix e.g. 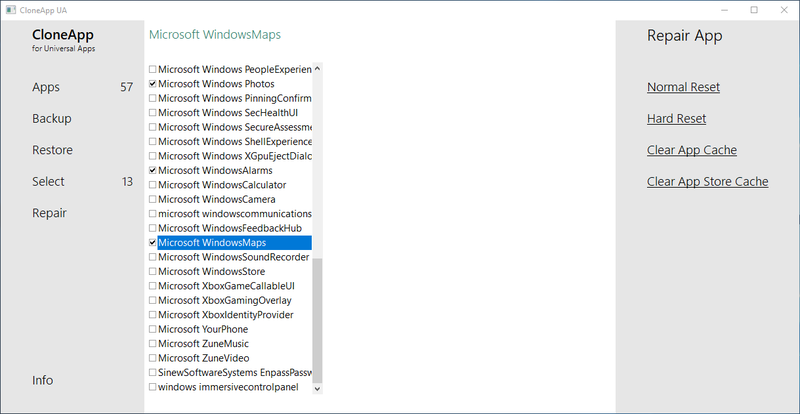 the preinstalled Windows Maps app caries the name Microsoft.WindowsMaps_8wekyb3d8bbwe. Of course, you can find the settings there as well: there's a settings.dat file inside the Settings subfolder. The UA version of CloneApp searches for all apps, which brings a Settings.dat file in its package under the above mentioned path. 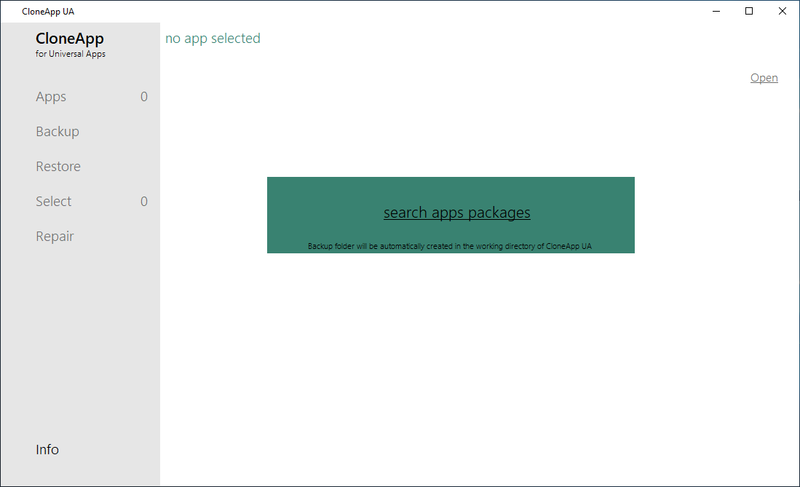 Run the program, and click on "search apps packages" button. 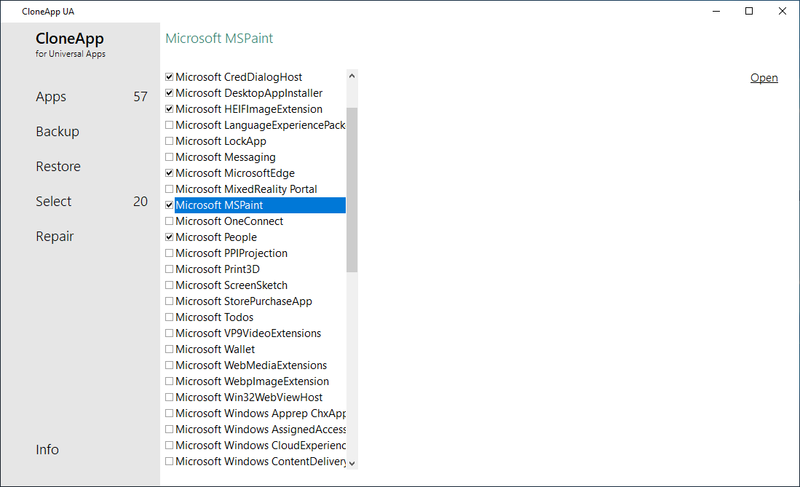 It will then scan %LocalAppData%\Packages\ directory for installed apps and list them in the window. The UI concept is similar to CloneApp. You can now either choose to backup all installed apps by clicking on “Select” (click again to unselect everything) button or manually select individual apps. After making your selection, hit the Backup button. As output/backup folder, the CloneApp UA working/execution directory is used. After starting the backup, the output folder "Backup" will be automatically created. That’s it! Your settings are now backed up. For writing its configuration settings, CloneApp UA uses the cloneapp.ini file. You can either put the UA version to the root directory of CloneApp or create a Data folder in the working directory of CloneApp UA, to let the program save i.e. its window states, detected apps etc. 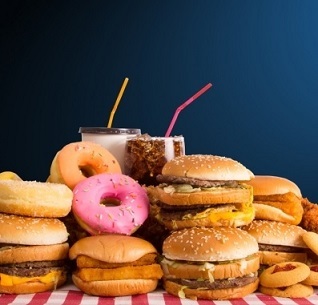 205 615 Mirinsoft.com <img src="https://www.oldergeeks.com/downloads/gallery/thumbs/cloneappua1_th.png"border="0"> Feb 24, 2019 - 12:08 0.7.1 43.7KB ZIP , out of 1 Votes.